Applying and keeping your liner looking perfect can be a bit of a challenge. Finding the right product and technique are essential. Try some of the tips and tricks found on this page. Another thing I do is to use left over mascara as liner. If the mascara is too clumpy, running low or just not the right amount that looks good. Take the wand and use it as liquid eye liner. You can do this even if you are still using the mascara, just works double duty. I use a Q-tip and smudge it or lighten it to my liking, being careful not to use old mascara. After awhile, the germs makes it safer to toss. The money saved using it in anyway wouldn't be worth too much if you get an eye infection. I have tired everything to keep eyeliner on my bottom eye lid, but nothing I try helps - it melts away. Any suggestions? Try putting it just below the lashline rather than on the lower lid itself. I'm a professional entertainer. I also have oily skin, so keeping makeup where I put it is always an issue!! Here are a couple things to try to keep your makeup in place. First, buy a good eyeliner pencil, I like Maybelline's best (it looks sort of like a pen and you twist to raise the pencil part). Put a dot of baby oil on a piece of toilet paper and "prime" the tip of your pencil by touching it lightly to that drop of oil. Then use the pencil to line your eyes. Next, take a q-tip and dip it in a tiny bit of neutral powder (regular baby powder works too). Dab (not rub) the powder on your newly applied eyeliner. You can then brush off the excess with another q-tip or your finger. 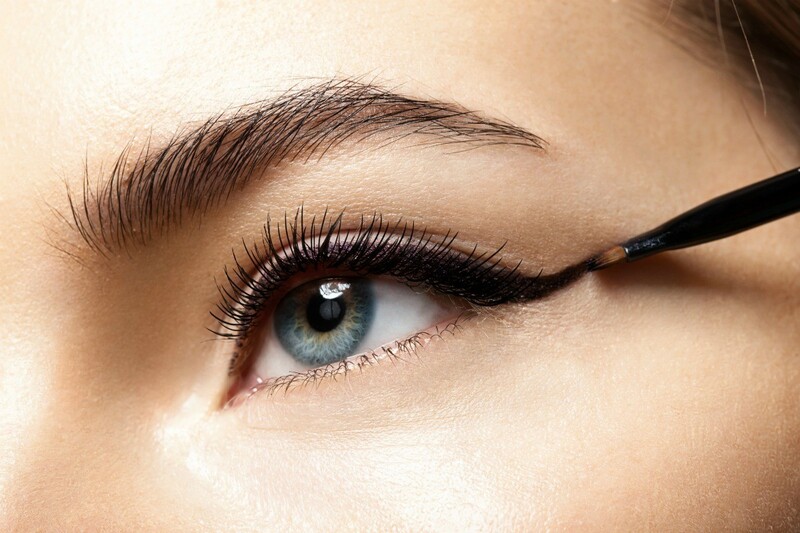 You will find your eyeliner lasts all day plus some with this technique. And a good tip for removing makeup, especially heavy or powdered (like your eyeliner will be) - use baby shampoo or baby wash. It won't hurt when it gets in your eyes and it cleans very well. I have oily skin & pencil liners just wouldn't stay on. I started using gel eyeliner that you apply with an eyeliner brush. The best ones I have found so far are by MAC & Bobbi Brown. When I line my eyes with a pencil, I go over the pencil and 'set' it with eye shadow. It doesn't have to be the same shade of shadow. Sometimes I use a bright liner and then put black eye shadow over it. It's a unique look. Liquid Eyeliner. Stuff stays on ALL day and never smears like the pencil kind. I am looking for an eyeliner look for the inner rim that doesn't run or collect in corners of my eyes. Another thing everyone can try for shadow to eye liner is scooping a tiny little bit of shadow out and mixing it with a drop of visine. It creates a liner. You can make many colours this way. It might take a couple tries to get the right amont of each, which isnt much. But you dont want it too watery. 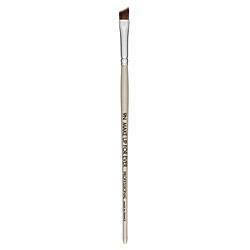 Use a brush like the one in the picture Ive attached to tthis post. I use the Covergirl one that has 2 sides with caps. One has the liner that you sharpen and the other has the smudge sponge on the other side. It stays put and you can make those smoky eyes that are so popular now. It is around 4 bucks. Can't beat that! I use a brown black! The only eyeliner that doesn't run on me is liquid. Maybelline has SuperLiner (.25 ounce) that I have found at both Jack's (in NYC) and at my 99¢ store. I also like Loreal Liner Intense I think it is called. It comes in 2 pieces on the card. The brush is separate, and the bottom which holds the liquid. After you open it it becomes one piece. This gives you a few seconds to fix before it dries completely. Both are terrific, last all day and night and my eyes are sensitive and they don't bother me at all. Loreal also makes a wand type liner that is similar (in one piece on the card) and has much less liquid (like .08 or .05 instead of .25 of an ounce). Jack's has this one for $2.99 so it's a fairly good deal. At $8 I'm not so sure. One of my friends swears by Bobbie Brown but that's serious money. Good luck and let us know what you decided to try. MAC fluidline is the best. Use a primer. I go to a lot of pool parties and with waterproof mascara and MAC fluidline I never look like Alice Cooper. There is an upfront cost ($15) but it last FOREVER! Ask them for a spatula and dip that in the fluidline (gel-like consistancy in a jar) and use an angeled brush with light pressure for a thin line and heavy pressure for a thicker line. Or smudge for smoky eyes. 12 different colors and it's waterproof. Great product. Cheers! I bought gel eyeliner and when I opened it, it was as hard as a rock. Do you have any ideas how to melt it? I tried putting it in a glass of hot water, but had no luck. You can make homemade makeup medium, which is two parts water to one part glycerine. Try pouring a little on to see if it helps. This stuff is used to make lasting eyeliner out of eyeshadows, so hope it helps! I am with fatboyslimsmom about taking it back! If it's dried out it's 'old' and most likely contains bacteria that could be harmful to your eyes! It's the same as with mascara where it is highly recommended to throw it out once it begins to dry and not even try to re-moisturize it! I am looking for some eyeliner tips. Any advice would be appreciated.